Our dogs come to the office nearly every day. 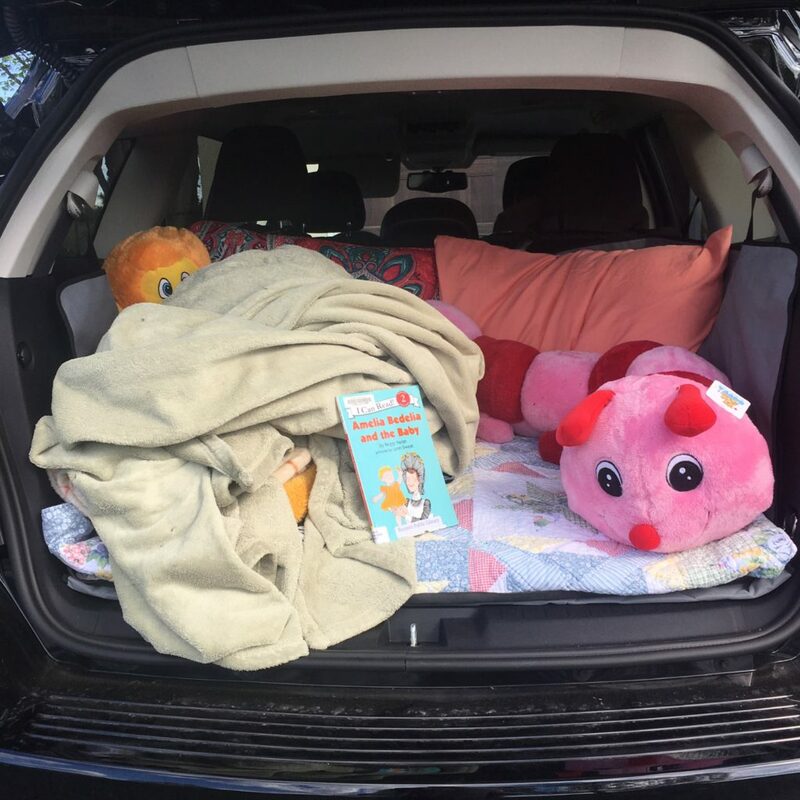 I never thought much about putting them in the cargo area of our SUV until we went to a drive in movie. When I had to sit back there and watch a movie with Peyton it was then I discovered just how hard and uncomfortable the cargo area was. Even with 3 quilts down it still hurt my back! When I heard about Squishy Mats I had to try them out for myself. What is Squishy Mats? I had the same question. I had never heard of them before today. 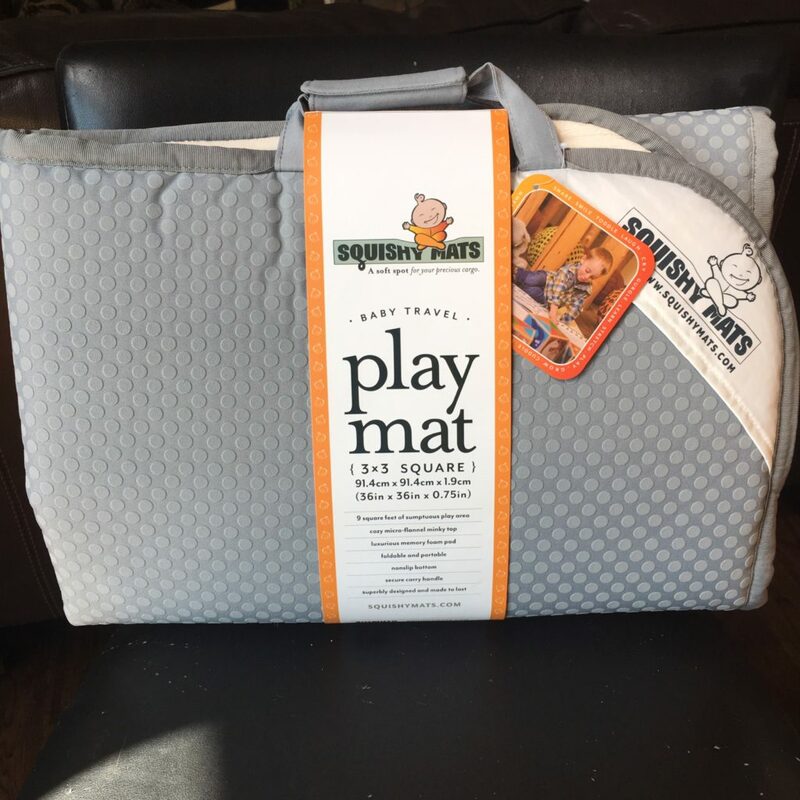 Squishy Mats are mats that are made of a squishy material (memory foam) and can be used for children or pets. For us, I used it for the cargo area of our SUV. We ordered the 3x3 size Squishy Mats aka The Little Squishy. If I had to do it again I would order the larger 4x4 mat - The Big Squishy. As I unfolded The Little Squishy I instantly could tell how much softer it was! I knew it would offer the amount of comfort I was looking for. When I laid it out in the cargo area I could see it was a little small but it would do the trick. 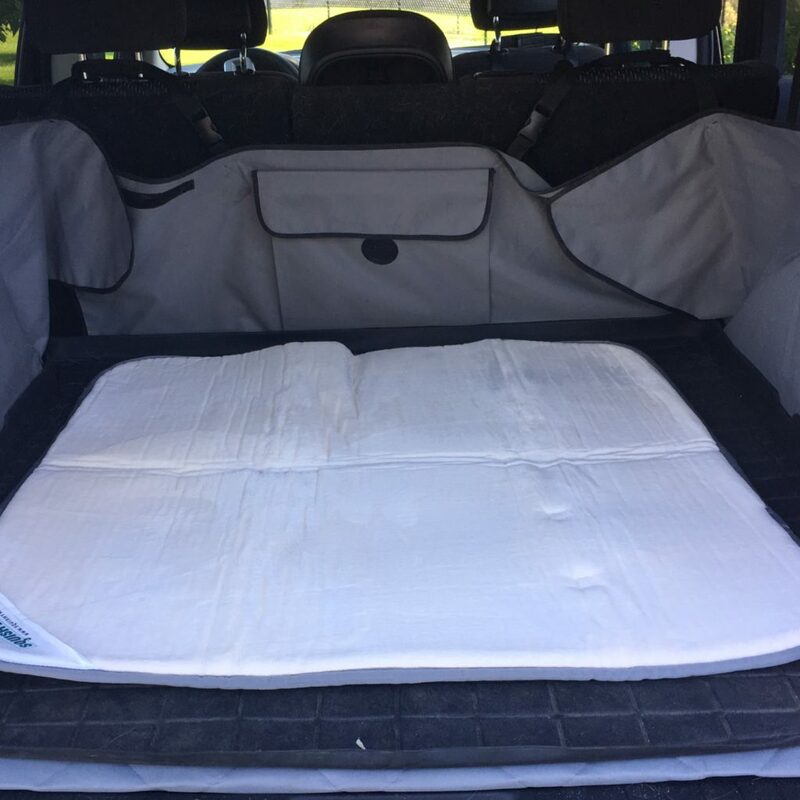 It definitely helped to give some needed comfort to the dogs riding in the cargo area. I really like how Squishy Mats can be washed and line dried. Kids and pets are not always the neatest creatures and most items they come in contact with need to be cleaned at some point. Knowing that I can toss Squishy Mats into the washer makes me less hesitant about purchasing it and using it. The final test was to see what Matilda thought, so I called her outside to sit in the car and give her opinion. Well, she loves it! I think she will enjoy riding in the car to the office or to pick up Peyton from school much more now. 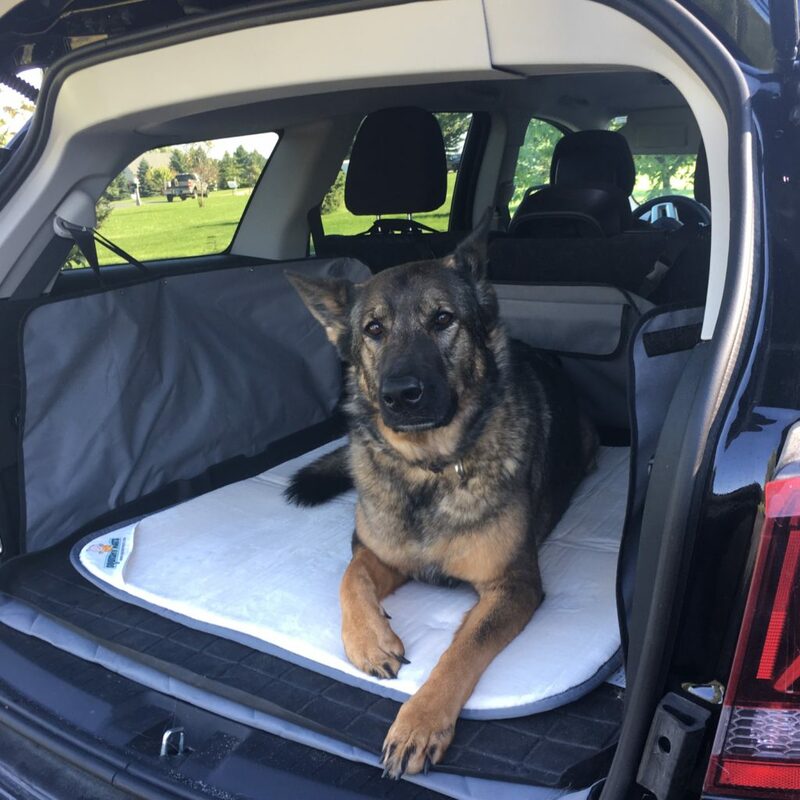 If you are a family that enjoys drive-in movies or travels with pets you need Squishy Mats. It'll make life much more comfortable! My Readers Save 20% Off with code “SQUISHYPETS” on all sized Squishy Mats – Because Squishy Mats are for EVERYONE!